Home to astonishing beaches, sweeping mountain ranges, dense rainforest and fiery desert, Australia is rich in sensational landscapes. 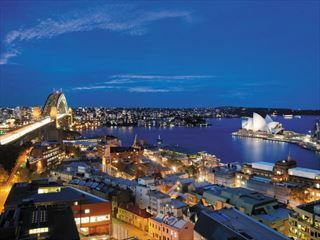 Starting in Sydney and ending in Cairns, this fantastic 15-night tour will showcase just how diverse this eclectic country can be, taking you through the Blue Mountains, Kangaroo Island and Uluru to help you discover the natural beauty of Australia. 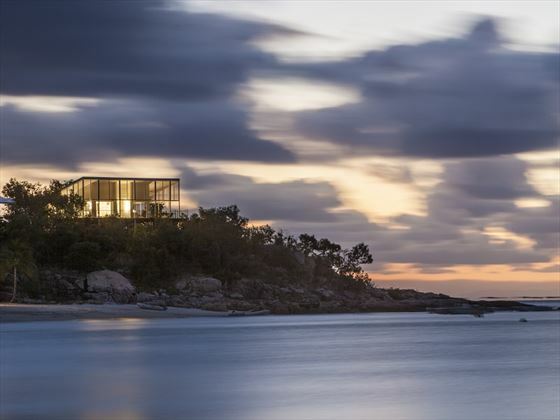 Meanwhile, you’ll also have the chance to experience some of the most luxurious retreats Australia has to offer. 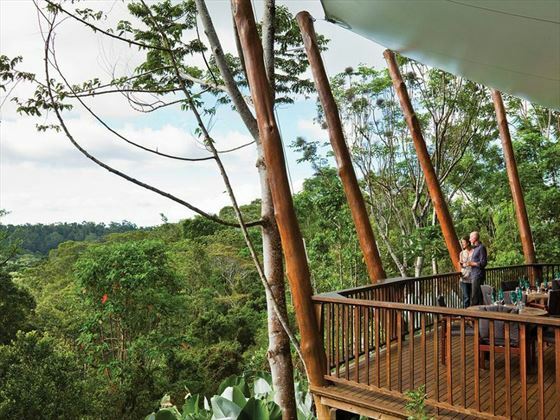 From isolated conservation resorts in the Blue Mountain valleys, to rustic yet elegant treehouses nestled in Cairns’ canopies, the hotels are just as awe-inspiring as their divine surroundings (TM - AT). 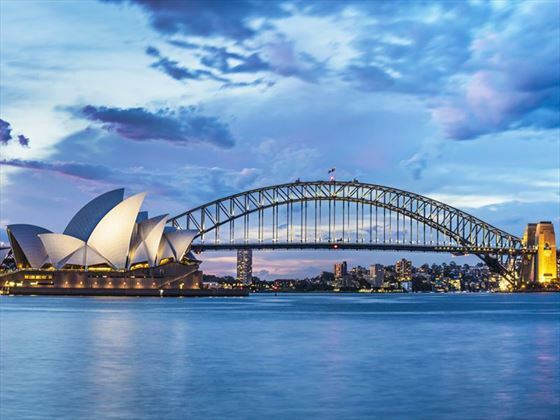 For the next three nights you will be staying in Sydney, an exciting city home to some of Australia’s most iconic attractions, including the Sydney Harbour Bridge and the Sydney Opera House. Dramatic Harbour views. Quaint cobbled streets. Historic brick buildings. 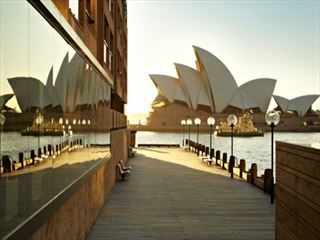 Discover a secluded tranquillity nestled in the heart of The Rocks district of metropolitan Sydney. 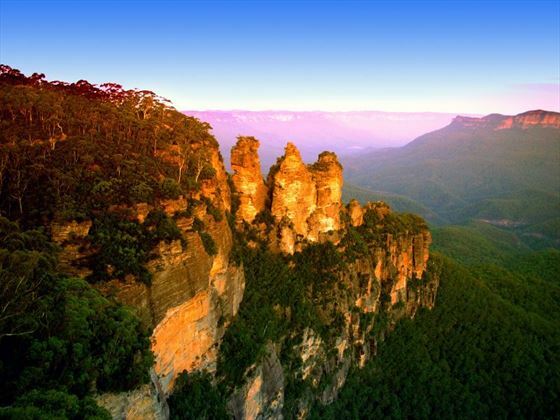 Just west of Sydney, the Blue Mountains is a rugged yet stunning region, where forest-shrouded mountains, cascading waterfalls and small villages create a jaw-dropping scene. Your two nights here will be spent at the One & Only Wolgan Valley, a truly luxurious resort that focuses on incredible conservation efforts, and offers amazing excursions including horse riding, wildlife safaris, and heritage tours. Occupying just one-percent of its 7,000 acre conservancy in The Wolgan Valley, your stay here will feel wonderfully exclusive and intimate. 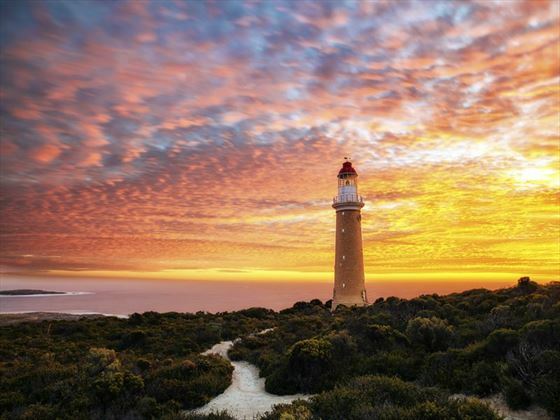 On day six you will board a short flight to Kangaroo Island, a naturally beautiful island where over a third is covered in nature reserves, and wonderful wildlife including sea lions, koalas and diverse birdlife reside. Be sure to explore Flinders Chase National Park, known for its dramatic coastal rock formations and large penguin colonies. 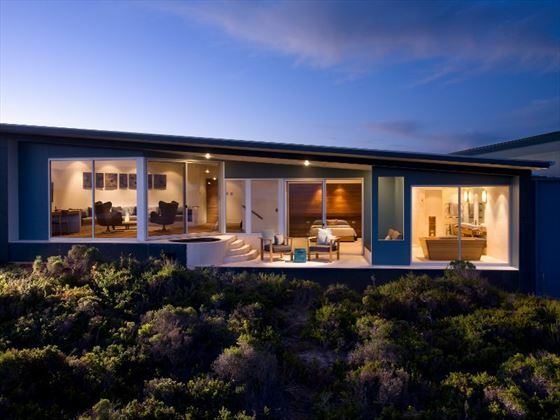 You’ll be spending two nights at Southern Ocean Lodge, a secluded boutique that offers sensational views from the floor-to-ceiling glass windows, and an ultra-modern design that juxtaposes charmingly with the rough beauty of Kangaroo Island. Today check out of the Southern Ocean Lodge and fly over to Adelaide, where you will spend a night at Mayfair Hotel. 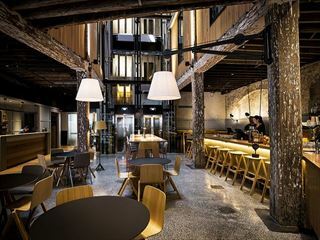 Located in the heart of the city, this Romanesque style hotel is brimming with glamour, with stylish suites and a truly innovative menu of decadent cuisine and exquisite wines. 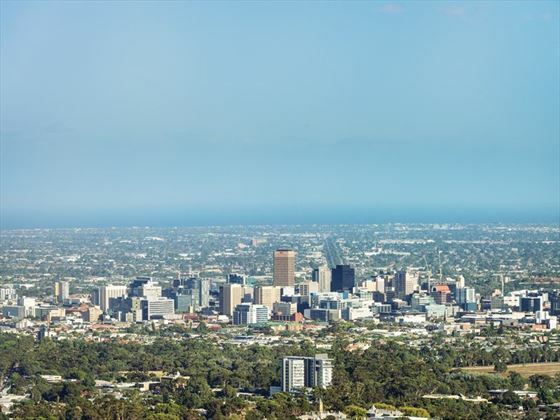 Adelaide is well renowned for its rich cultural side, including splendid museums that will immerse you in the region’s deep history, and art galleries showcasing phenomenal local work. 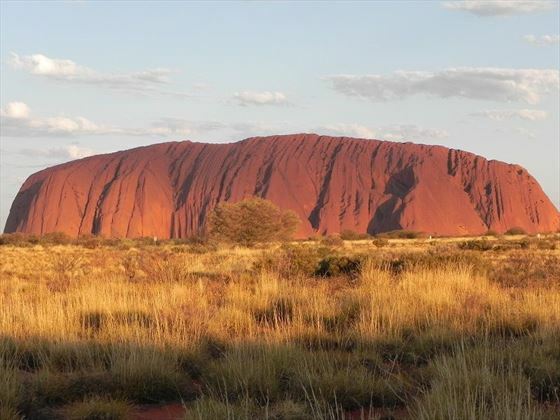 This is your chance to escape to the jaw-dropping fiery sands of the Northern Territory, journeying to the iconic Uluru to watch an incredible sunset sink below the horizon. The barren desert is a stark change to the bustling cities and emerald mountains in the days before, giving you a new taste of Australia. Longitude 131 Hotel, where you’ll be staying for the next two nights, is just as unique – the elevated luxury tents offer stunning views of the desert from their glass doors that open out into the landscape. With just 15 tents altogether, this luxury camp has an intimate and secluded feel, perfect for immersing yourself in the wilderness. On day 10, you will fly to Cairns. 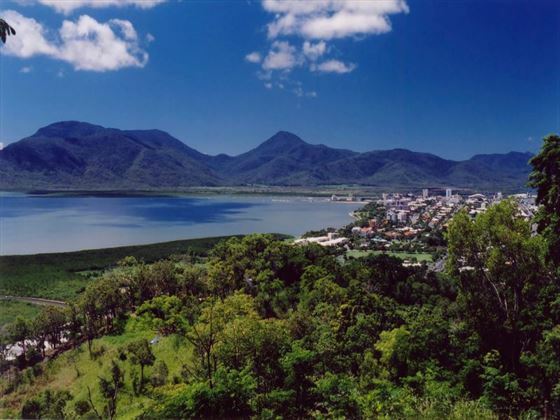 Blessed with stunning white sand beaches, lush rainforest, rich Aboriginal history and the sensational Great Barrier Reef, Cairns is a truly breath-taking destination. 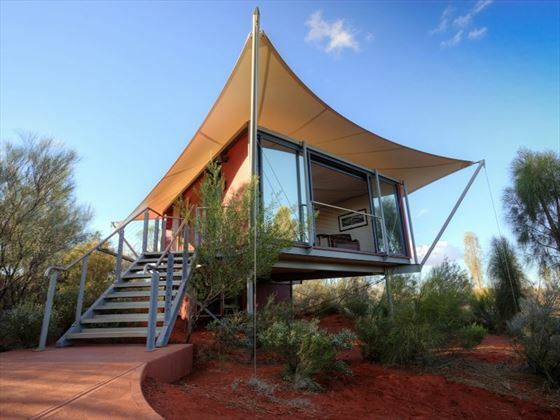 Your two nights will be spent at Rose Gums Wilderness Retreat, an intimate hideaway nestled within the beautiful Cairns Highlands, offering rustic-style luxury with its striking timber treehouses hidden away in the forest canopies. Wake to the sound of birds in the trees, and spend your time exploring the walking trails that wind along the Atherton Tablelands. Your morning will start with a short flight to Lizard Island, a charming granite island tucked away along the Great Barrier Reef. The snorkelling and diving here is unsurpassable, and the beaches are covered in sugary soft white sands. Meanwhile, the luscious National Park is home to prolific birdlife. Your three nights here will be spent at Lizard Island Resort. Close by to 24 blissful beaches, this isolated retreat offers a contemporary yet laidback ambience, with a focus on creating a calm space that is clearly inspired by its naturally beautiful surroundings. Today you will fly back to Cairns, where you will board your ongoing flight.